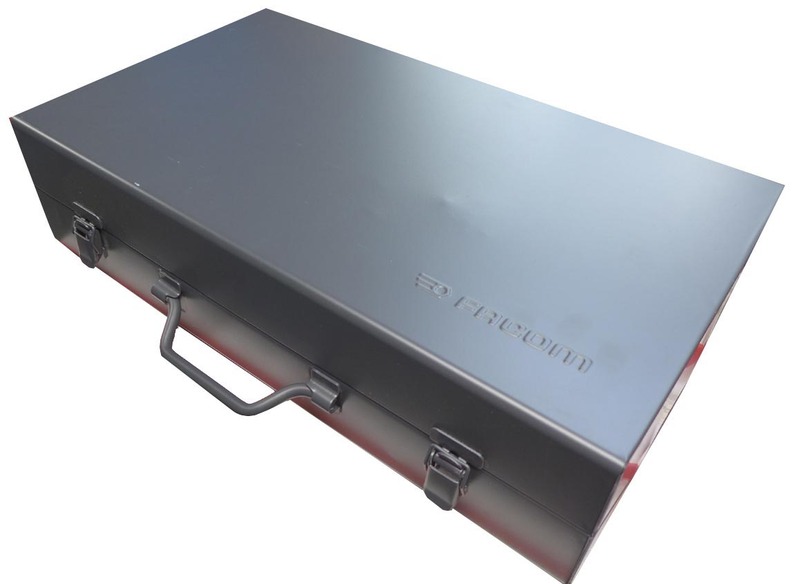 Facom BT.108 Metal Storage Box (for Tool Sets) - one of the last all metal boxes supplied with some of Facom's larger tool sets (2 large 1/2" drive socket sets & 2 puller sets...see below). At least 75% of these come in with minor dents and blemishes of some sort and replacement boxes & trays are built into the prices of these tools sets. 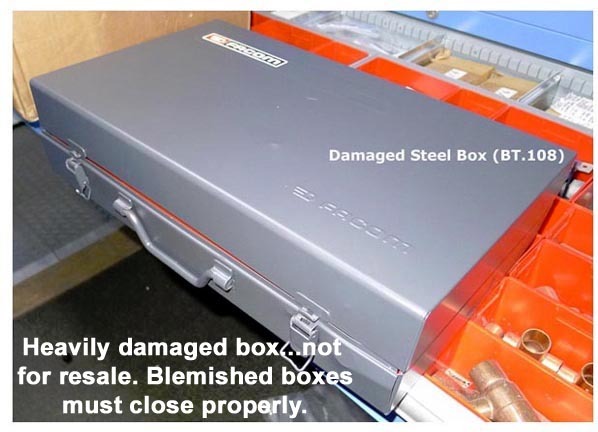 Some of the BT.108 boxes have heavy damage and are discarded. 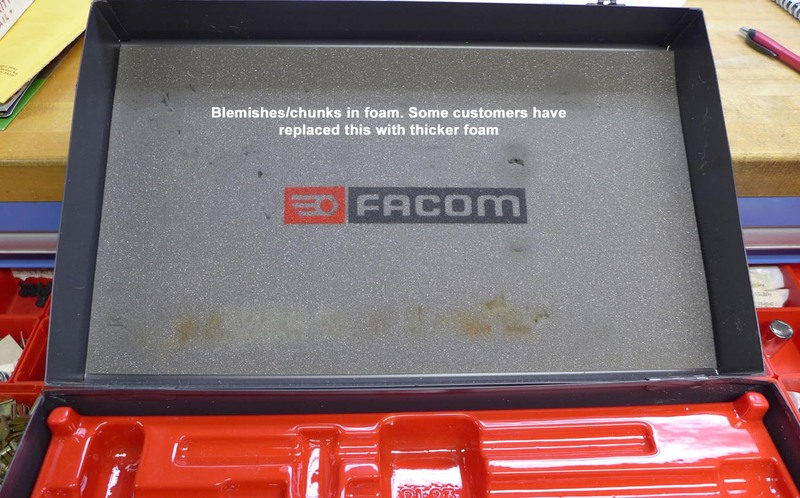 Others with cosmetic damage are sold as "BLEM's" . A perfect BT.108 is $125.00. Blemished ones range $75-85 depending on condition. BT.108 is used for the following sets. 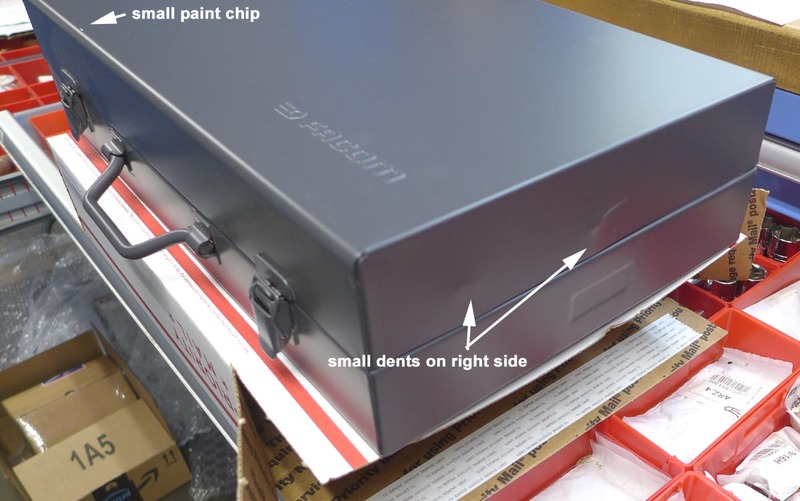 Plastic trays (optional...NOT included with the box purchase) are stocked for these sets as they are also frequently damaged during the trip from France to the US. This item does not ship for the $10 flat rate amount. 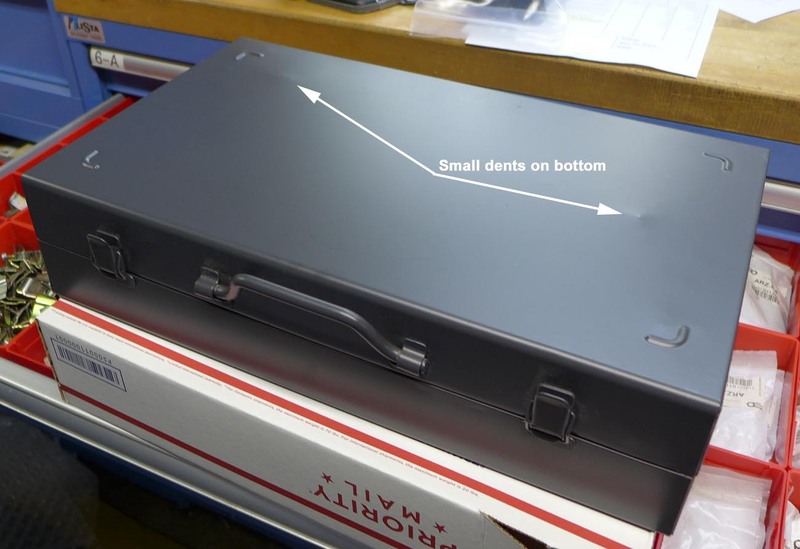 Actual shipping cost runs $15-30 depending on your location.